Joel Giles Harry Reed was born in 1874 in Berkshire. By 1891 he was living in Salford with his parents, earning his living as a blacksmith’s apprentice, presumably to his father who was a blacksmith. By 1901 he’d married Hannah Sykes, still lived in Salford and had completed his training to become a blacksmith. 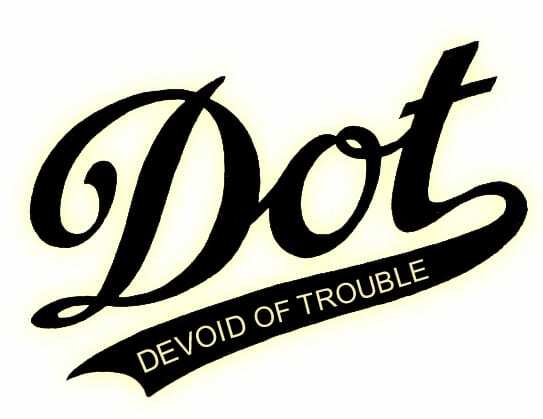 A couple of years later he started manufacturing bicycles and by 1907 he produced his first motorcycle and the name Dot appeared. Early Dot machines used Peugeot and Fafnir engines and Reed went on to fit JAP, Blackburne and Villiers products motors to his machines. But it was a Peugeot V-twin which secured Dot a win in the 1908 Twin Cylinder TT, when Reed saw off the likes of BAT, FN, NSU and Matchless to secure his victory. Reed was a regular visitor to the Island circuit but never achieved another victory, although he was second in the 1924 Sidecar TT. 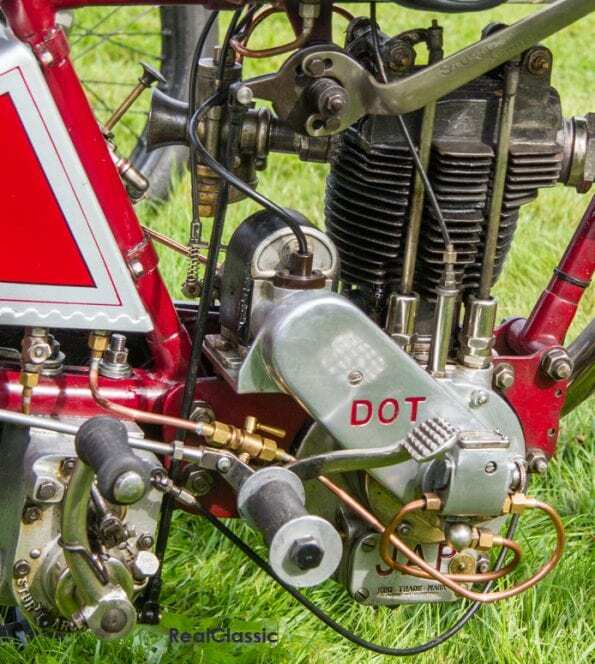 Other famous riders to mount a Dot in the TT were Charlie Dodson and Chris Tattersall in the 1925 Ultra Lightweight and the 1928 Junior, scoring 6th and 10th places respectively. Made five years later, the smart red, overhead valve Dot 350 in our photos shares some of the earlier bike’s attributes – including the stylish clutch and brake levers – although it does have the luxury of a kickstart driving through its hand-change, Sturmey-Archer gearbox. Oil is fed from the tank by a manual pump to the engine – note the intricate arrangement of lubrication lines just above the ‘JAP’ nameplate. 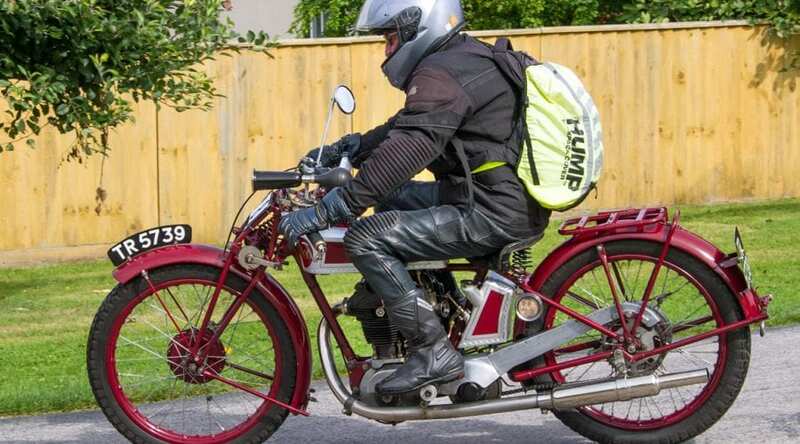 Sparks are provided by BT-H magneto, and the current owner has sensibly equipped his steed with a digital speedo. 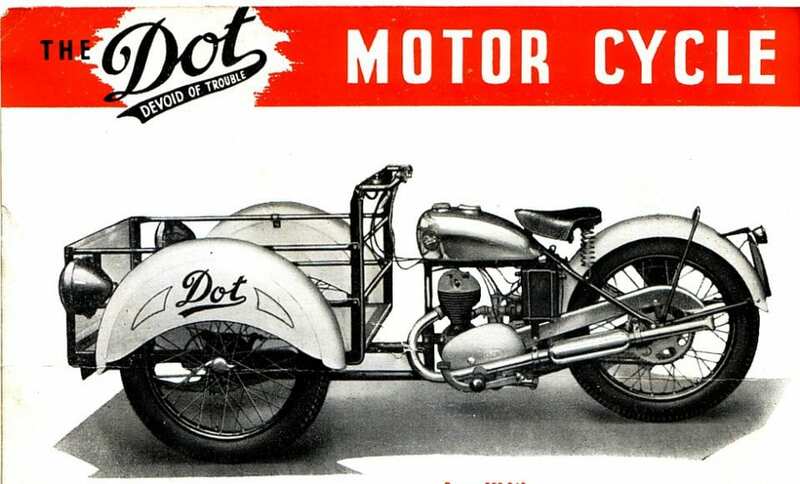 By 1925 the Dot range had shrunk to three 350cc models and, with financial difficulties looming, Harry Reed retired in 1926. 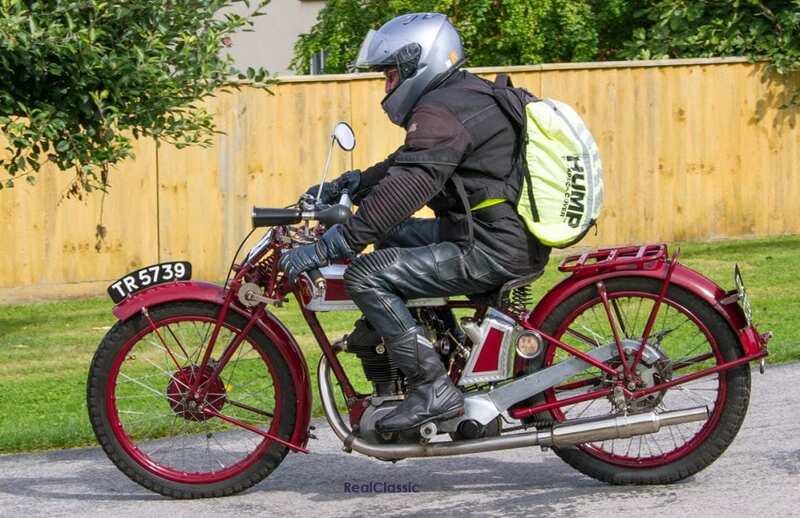 The range expanded again briefly to include the JAP-engined 350 in our photos, but in 1932 a young Burnard Scott Wade acquired Dot and ended motorcycle production. He kept Dot afloat through the lean years and WW2 with general engineering work and pedal-powered 3-wheel delivery trucks. 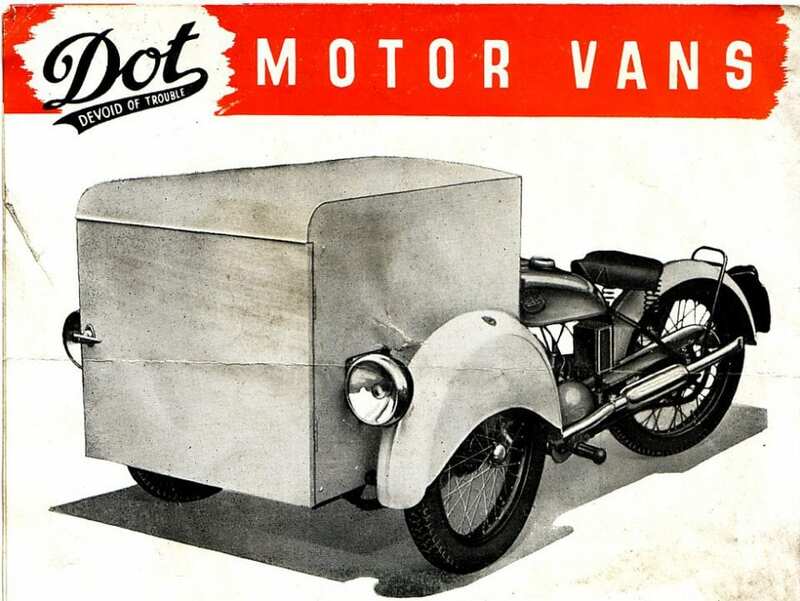 However it was his 122cc Villiers-powered Dot Motor Truck that provided the financial foundations for the marque’s re-entry into the production motorcycle arena. 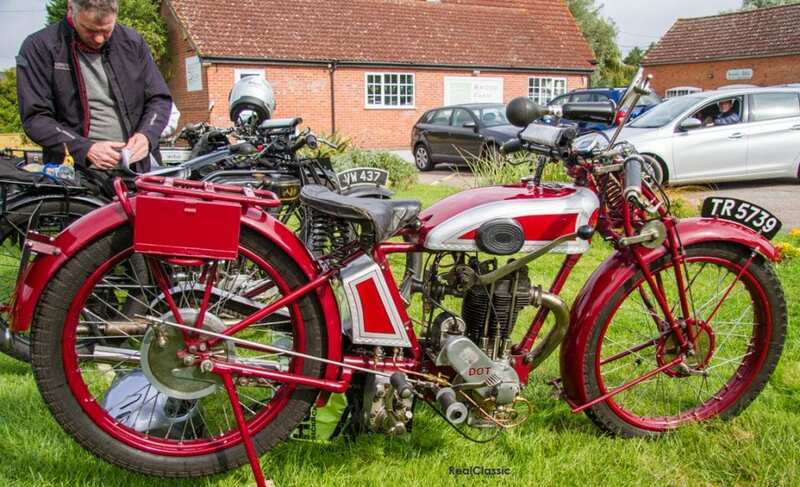 In 1949 a road machine with a 197cc Villiers 6E two-stroke engine was introduced and from then until the early 1960s Dot manufactured a series of not only road machines but also trials and scramble competition models. Financial issues arose in the 1960s and, although Dot limped along, the marque effectively disappeared in 1978. Or perhaps not. 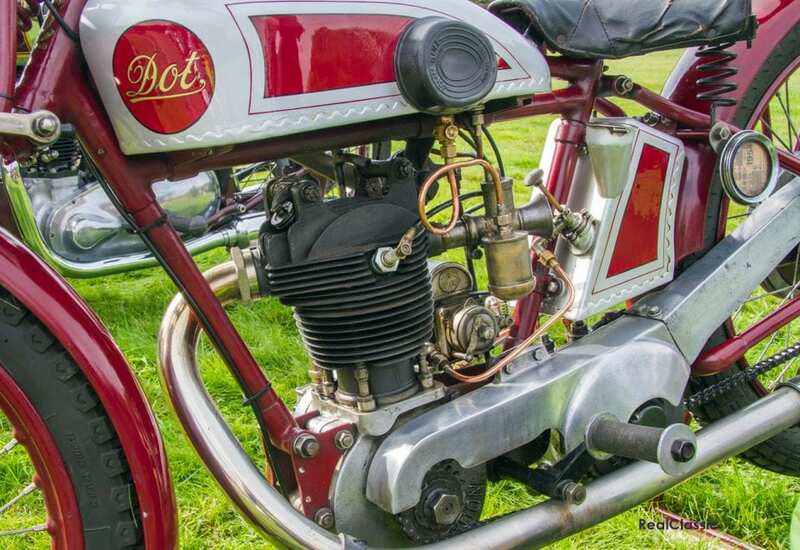 Although Dot Motorcycles Ltd, one of whose directors is a Michael Scott Wade, is listed as a dormant company, a current website promises a ‘new Dot Super Sport’ machine ‘coming soon.’ Naturally, there is a Dot owners’ club serving the interests of classic enthusiasts. 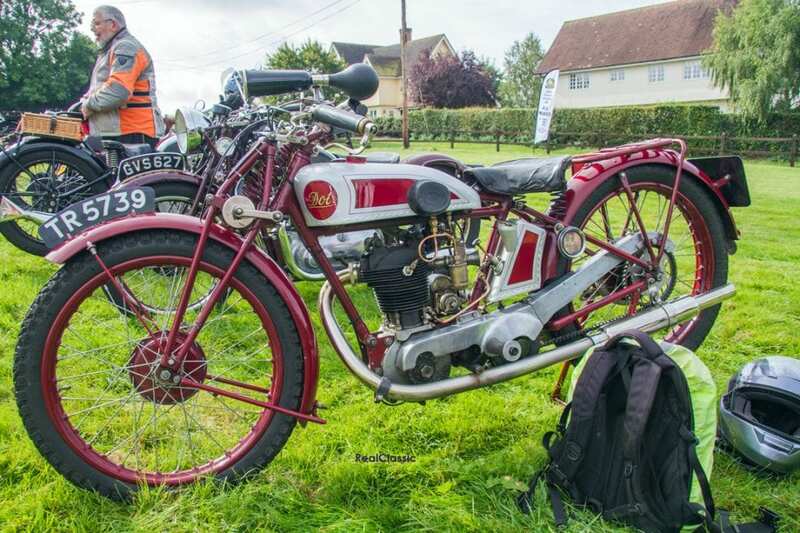 The 1928 350 seen here was spotted at appeared at the Sunbeam MCC’s Constable Run in September 2017. A very attractive machine. Previous Post:October issue out now!